Leave their own city in southern Italy to emigrate to the North, perhaps to seek new opportunities. It was and it is the story of many people, that moved from from Calabria, Campania or Sicily to Lombardy, Piedmont and Veneto. And it is also the story of Francesco Pio Russo, who was born in Naples on 1 March of 1999. As a child he shows a remarkable talent and a passion for the most loved sport in Italy. At the age of 10 he moved with his family to Crema, about 50 kilometres from Milan. FC Internazionale, which had already noticed and followed, does everything to have him. The scouting yields and Pio arrives at Interello. Here Russo makes all the rigmarole of youth teams as the main protagonist, earning several caps from the Italian National Under-15 to the Under-17 passing for the Under-16. But in May 2014 it happens what all the footballers hope that it doesn’t happen. During the match against Juventus for playoffs U15, he suffers a bad knee injury and fears the worst. But from this situation the boy comes out stronger than before. He is able to retrieve very brightly burning milestones and proving a very tough character, one of its prerogatives. 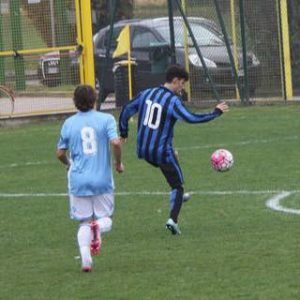 In July 2015 Inter, seeing in him important potential in terms of future, decides to closes on him and reward him: at the age of 16 years old he signed his first professional contract. Nowaday Pio plays in the Beretti formation and he trains often with the Primavera. His skills have not gone unnoticed in the eyes of Frank de Boer who, between late August and early September, called him for three times to join the first team workout. And he has even deployed in action in a trident with Candreva and Palacio. In fact his natural role is precisely at wing where he can shows all his great skills. Short-limbed and with great speed, Pio denotes a technique better than average. Despite being a natural right, he is able to kick with both feet and can act either from the right or from the left side. Has considerable qualities in one against one game and hiss unpredictability often puts opposing defenses disarray. Over the years he has also been used as attacking midfielder and half wing because of his skill in entries and his excellent game viewing. In short, a complete and modern offensive player. Even there is also those who see in Russo a possible future as a second striker free to spin behind the first striker, by virtue of its powerful and precise shooting. 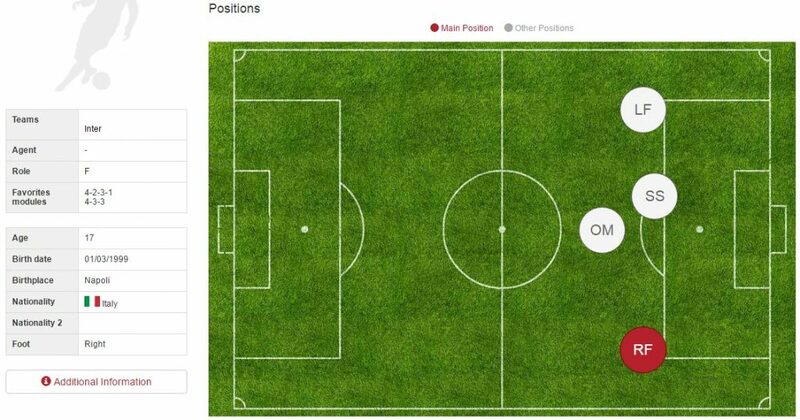 This entry was posted in Youth football and tagged internazionale, young. Bookmark the permalink.